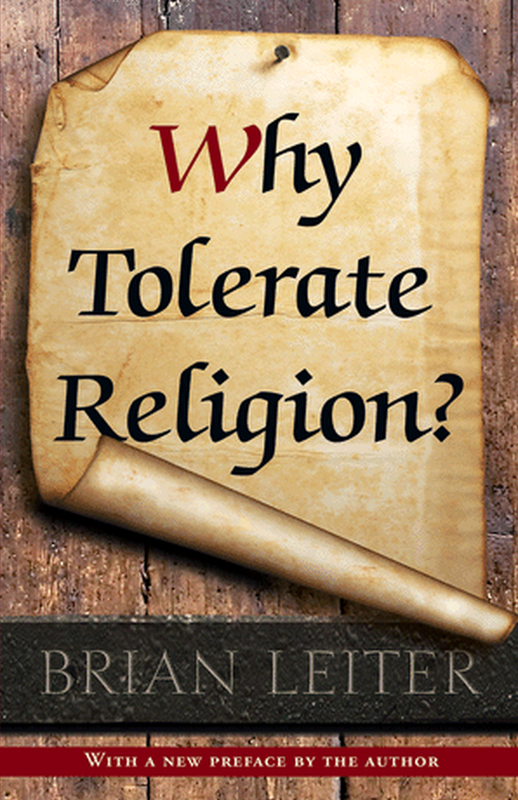 In regard to your first question, since “toleration” can have more than one sense, it’s important to ask how Leiter is intending it in this context. I haven’t yet read this book (though I’ve listened to an interview he gave on it), I took it that what he intended here was a claim about whether or not legal exemptions ought to be granted for certain matters of conscious, not a claim about how we ought to evaluate specific matters of conscious. It is of course consistent to hold that a society ought to “legally” tolerate a certain range of beliefs and practices the majority of whose members may find to be factually or morally erroneous. As to your second thought, I’d agree that there definitely does appear to be an inconsistency between maintaining on the one hand that the harm principle is the “only” justification for state coercion with regard to matters of conscious, and on the other that the state may use coercion to enforce a substantive conception of the good.